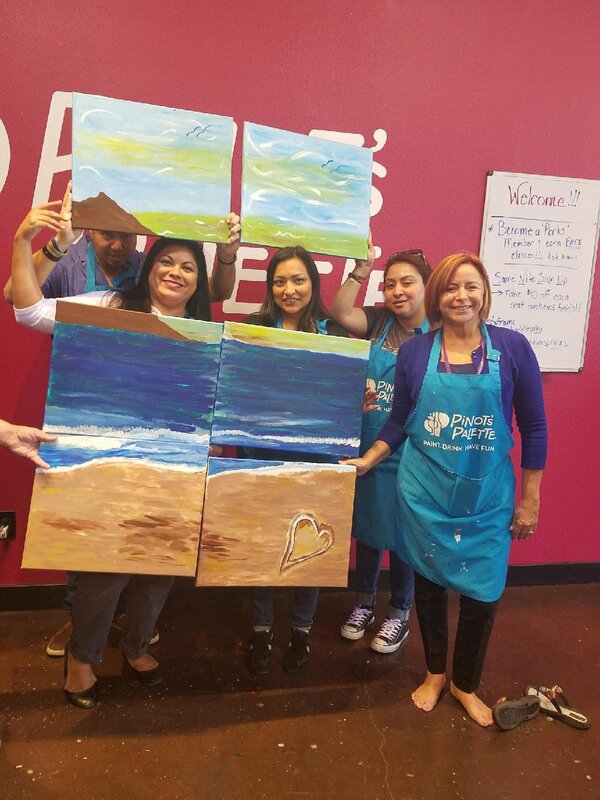 In the summer, San Bernardino ACT/MAPS/FACT/TIE-CC & BHICCI staff gathered for a team building experience that incorporated the RCCS values and principals through painting. 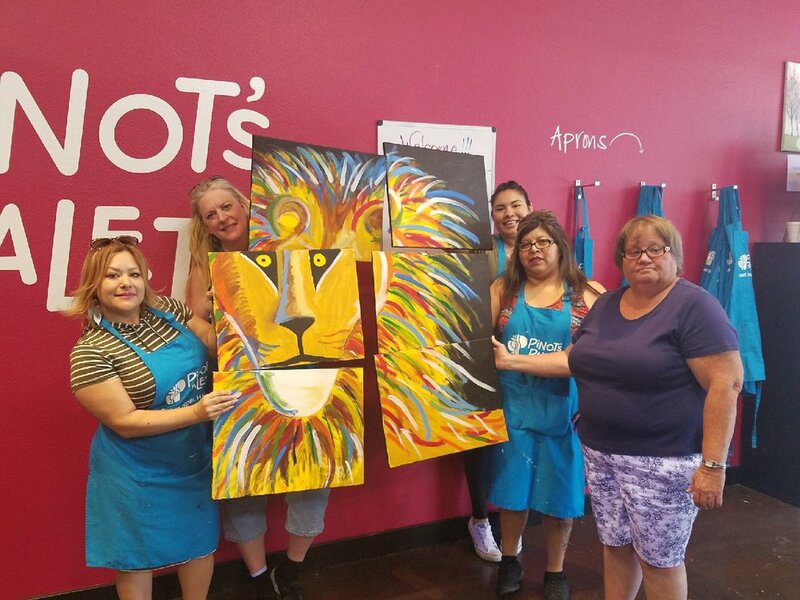 Staff were divided into five teams and created a mural that represented one of the RCCS principles and values: judgment, individual uniqueness, power, spirituality, respect. 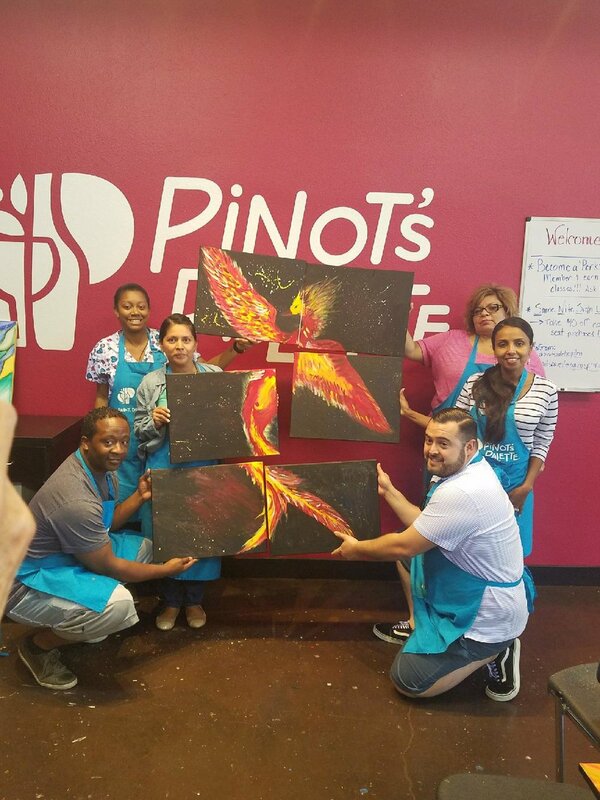 It was a fun and collaborative experience that allowed each staff member to work together showing each staffs artistic ability. The paintings are now displayed on our walls as a reminder of the foundation of the services we provide.